Assistant Deputy Chief Gerard “Gerry” Barbara, 53, was a Citywide Tour Commander. This 31-year FDNY veteran arrived on the scene before the second tower was hit. He then took the role of Incident Commander in Tower Two. Earlier in his career, “the biggest Yankees fan that ever was” had been Chief of Fire Prevention for the FDNY. A highlight was being called to inspect Yankee Stadium after a 500-pound chunk of concrete fell from the upper deck in 1998. 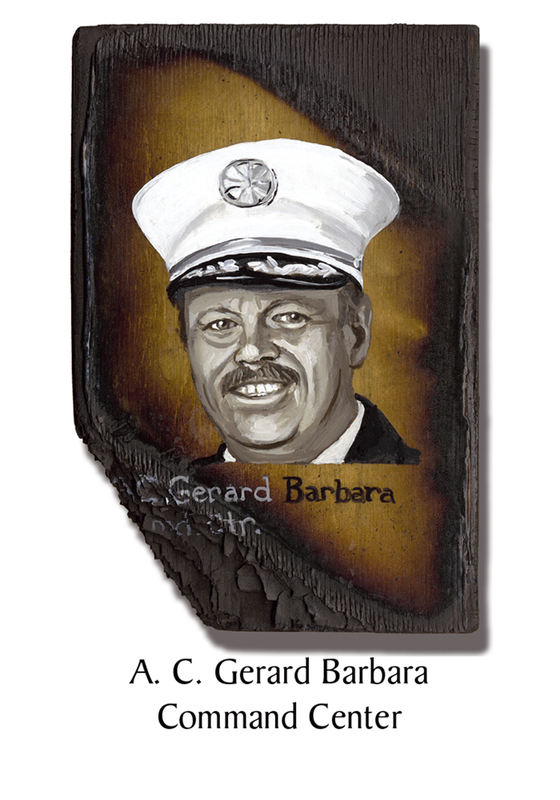 This entry was posted in Better Angels Stories and tagged 343, 9/11, better angels, Dawn Siebel, FDNY, firefighter, firefighters, firefighters of 9/11, Gerry Barbara, LODD, Manhattan, memorial, NFFF, paintings, portraits, World Trade Center, WTC. Bookmark the permalink.